With smartphones being so well suited to productivity and on-the-go organization, it’s little wonder that they have become a great tool for note-taking. One application in particular, Evernote, was designed with many features focused toward this very task. For this week’s tip, we’ll review some of the reasons that Evernote is a stand-out note-taking tool. 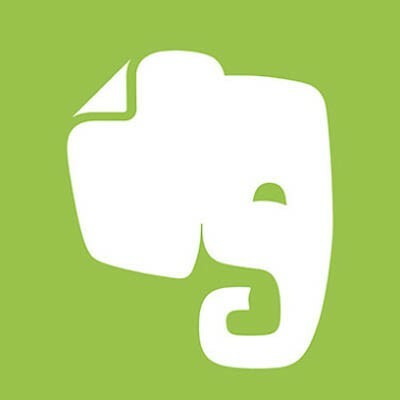 Evernote is a cloud-based service that allows users to create and store various kinds of files, saved as notes within notebooks. Built as a kind of virtual filing system, it also makes finding a particular thought exceptionally easy. It can be seen as a business-friendly application, as it also offers some collaborative capabilities on notes, and can be accessed through a mobile device (as referenced above), as well as via a computer, with the capability to integrate it with services like Microsoft Outlook and Google Drive. There are both free and premium versions of Evernote, with an additional paid version intended for business use. This business-centric tier offers a few unique features, like Spaces (subspaces in Evernote where groups can directly collaborate) and the administrative abilities that every business needs when implementing a solution like this. However, here, we’re focusing on what the free version has to offer users… which is quite a lot. Evernote has its own terminology that it works with internally. Notes - A note is Evernote’s most basic document, whether it’s composed of text that you’ve typed up, something clipped from the Internet, an image, or any of the other formats that Evernote is compatible with. Notebooks - Just as in the physical world, notebooks are where you keep your notes. However, not many physical notebooks are organized categorically, as Evernote’s are. Tags - Tags are essentially keywords that allow you to look at a collection of notes that contain related topics, even if those notes are contained in different notebooks. By adding a keyword to a note’s tag section, a note is then searchable by that keyword tag. Evernote’s most basic, free version offers no small amount of utility. While its features may not be intended for business purposes directly, they can certainly contribute to your, and your organization’s, success. Shareability - Evernote content, whatever it may be (more on that shortly) can be shared with anyone, even if they aren’t also an Evernote user. While this does bring up security concerns in a business setting, if used responsibly, it could have no small amount of utility in the office. Personal Management - There is an excellent capacity for building to-do lists in Evernote, which could have potential as a basic project progress tracker or any other of assorted office needs, like ordering supplies. In addition, reminders can be set so that these tasks are completed before a deadline is missed. Assistant-Friendly - If you happen to use the Google Assistant or Apple’s Siri, you can use them along with Evernote to create, find, and update notes with your voice alone. Scrapbook-Style Notes - Evernote also offers a browser extension that can pull content from the web, simplifying business research and note-taking. No matter the content you need, Evernote can grab it and organize it the way you see fit. While Evernote isn’t right for everyone’s business, it may be just the tool that yours is looking for. 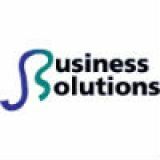 Give JS Business Solutions a call at (781) 715-1900 for more assistance with your IT, including a review of your current solutions.